Be honest – do you really know what an internet marketing consultant can do for your hotel? Over the years we’ve found a big divide between hotel owners, directors and managers pushing the boundaries of their boutique hotel’s digital marketing and plenty on the other side of the fence – understanding they have a need to sell on the internet, but not really knowing where or how to begin. Contrary to what some of us might believe, we can’t be an expert in all things – it’s entirely understandable that you don’t have a deep knowledge of Google ranking factors when you know which recruitment sites are the best fit for your ideal employees, or have recently spent any of your free time on a mattress replacement project. The internet marketing industry used to be comprised of many looking to make a quick buck, with little regard for others. While much has been done to weed out the industry, it can still be hard to gauge who to trust. 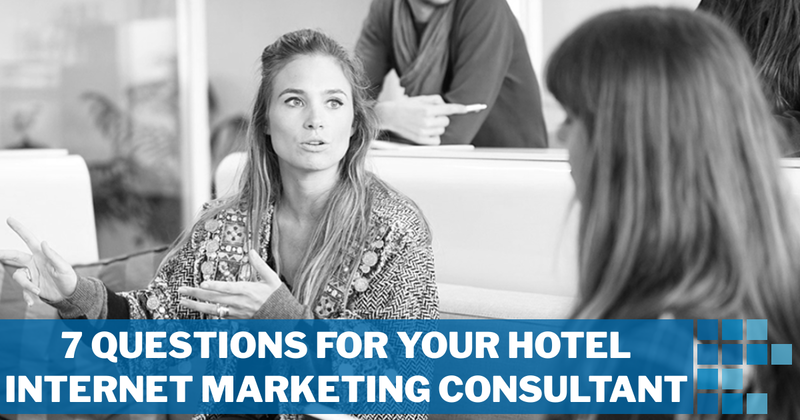 In this post I’ll run through 7 key questions that you can ask your hotel internet marketing consultant to make sure they actually know what they are doing and, more importantly, to avoid having them do damage to your hotel’s website. 1. What aren’t we doing well? It takes confidence and honesty for an internet marketing consultant to note that “your hotel’s website is painfully slow“. But it’s the feedback you need. Maybe your Facebook page has 25,000 likes but when you share unboosted content, you’re lucky to get one of them to engage. It’s possible you should completely abandon your Twitter account in favor of spending that time and effort on content marketing. Maybe your Google Adwords PPC campaigns are bleeding cash into high cost, low conversion keywords that are doing nothing but keep Google shareholders happy. Whatever the weakness in your hotel’s internet marketing efforts, your consultant shouldn’t be afraid to tell you. A quality consultant will take these wants and translate them into their own set of success metrics. Some may be available to you, while others may be too technical to share with you. Usually it’s a case by case basis, depending on how involved the client wants to be in the process. Obviously, this above list is purely hypothetical. The intention is to give you some insight into the type of metrics your consultant should be using to define success for your hotel’s digital marketing campaigns. Understand how your internet marketing consultant will measure and report the success of their work. 3. How do I see the work you are doing? Will you provide a report? Every consultant or agency will have a different set of systems they work with to manage tasks on behalf of your hotel. At Otium Boutique, we use an internal project management tool to make sure we’re on track. While we can provide access to this project management tool, few clients actually want it, instead preferring to trust us with the work, allowing them to spend their time on other things. We also provide regular updates via email, schedule meetings with Google Hangouts/phone and when conferences/events/travel match up we’ll meet face to face. None of these methods are particularly revolutionary – and while some clients prefer one method of communication, others prefer the complete opposite. What is important is finding the right fit for your needs. 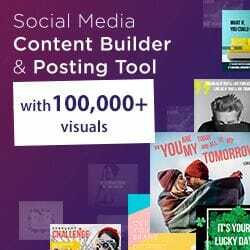 In addition to ongoing status updates, a report gives you an opportunity to see the metrics from point 3 either being successful, or falling short. Your hotel’s internet marketing consultant should make this clear to you. But when it comes to digital marketing, it’s not uncommon to see metrics jump up and down for a myriad of reasons; seasonality of your hotel, promotion on a popular website, analytics spam (a topic for another time), SEO-related changes to your website and so on. 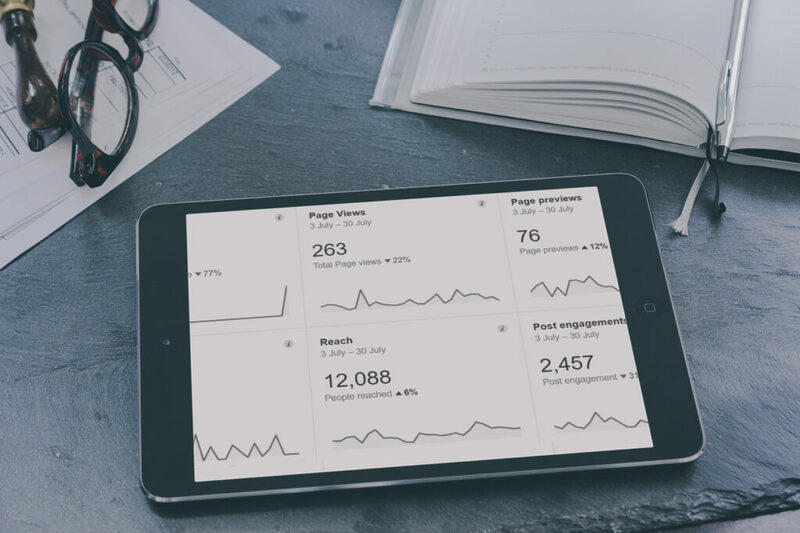 A monthly report, tracked over an extensive period of time should help you to see the long term success or failure of your internet marketing. For most marketing directors, it’s also the perfect document to bring to your executive team meetings. 4. Do you outsource any of the work? Internet marketing requires a huge amount of trust, as anyone touching your website, social media accounts or ad campaigns can do long term good – or bad – to your brand. Who has access to the hotel’s account logins and passwords? Do you oversee the work your contractors do? Will I be communicating with these people? Or does all communication run through you? Will any ad, blog, social media or website copy be written by a fluent English writer? When you’re in the realm of off-site link building and creating content for your hotel’s SEO, quality is paramount. It’s not a volume game, and if your consultant’s contractor’s contractor plays with your hotel’s website it can genuinely hurt your bottom line. This is an opportunity for your consultant to be up front about who is doing the work and confirm with you that the ultimate accountability lies with them. There’s no reason why outsourcing needs to be a negative so long as your marketing consultant has your best interests at heart. 5. Do the campaigns all work together or can I do one at a time? If your consultant comes back to you with a proposal for $25k per month for a myriad of services and campaigns, but you had $2500 in mind – where do you begin? Does it make sense to remarket to users who visited your hotel’s website when the site attracts barely any traffic in the first place? A quality internet marketer should be able to break down their proposed initiatives into a longer term plan. Often after having the budget discussion, we’ll come back to our clients with a list of “low hanging fruit”. We say, “Let’s focus on these as they provide great upside for minimal cost.” Once we can prove a return on investment, there’s more budget to spend on the more advanced methods. For hotels with a smaller marketing budget, we recommend targeting the “low hanging fruit” first. 6. How long will it take to get results? Some methods such as paid search are near instant, but get much better with time and ongoing optimization. Other methods, such as organic social media and blogging, have a long lead time before seeing traction. It’s not uncommon for blog content on a new website to take 12 months before seeing the light of day. Like building a successful hotel, internet marketing isn’t always best done quickly. Most hotels we work with enjoy a blend of short vs long term marketing methods – generating revenue today, with a plan to see a much better return on investment in future. If you’re not experienced with internet marketing terminology, a useful exercise may be to run through the different methods your consultant brings to your attention, and ask them how long each one typically takes to show a financial return (if ever). 7. What is the break down on my ad spend? If your hotel spends $5000 on ad spend each month with a management fee included – how much did you actually spend on ads? Your consultant or agency should have clear pricing available to you on how much their management fee is. For some, it’s a percentage of ad spend – around 15% being the norm, others will charge a flat rate, say $1000 for management of up to $10,000 in budget. Some will charge a commission of sales generated and, at the lower end, you may find someone to manage your campaigns on an hourly rate. It doesn’t matter which route you take, so long as it’s clear what it is you’re getting for the money. It’s not uncommon for larger agencies to feel that it’s fair to take 50% of your ad spend as a management fee. For a boutique hotel with a small budget, this is money you can’t afford to waste. Internet marketing consultants aren’t all made the same – what may seem to be a specific field to you is incredibly diverse. Consultants may have expertise in traditional marketing, copywriting, search engine optimization, search engine marketing and paid search, branding, social media, video production, press releases, link building, website development, web and business analytics, graphic design and more. Higher education studies in fields such as marketing, while relevant, may not be as important as finding an individual or team of people that have their finger on the pulse and are aware of the latest internet marketing methods that can give your hotel an advantage online. Of course, we’d love an opportunity to discuss your needs. Feel free to contacts us using the traditional methods, or send a Tweet our way!